Parenting is tough work! We’re expected to do all. the. things. And do them well! 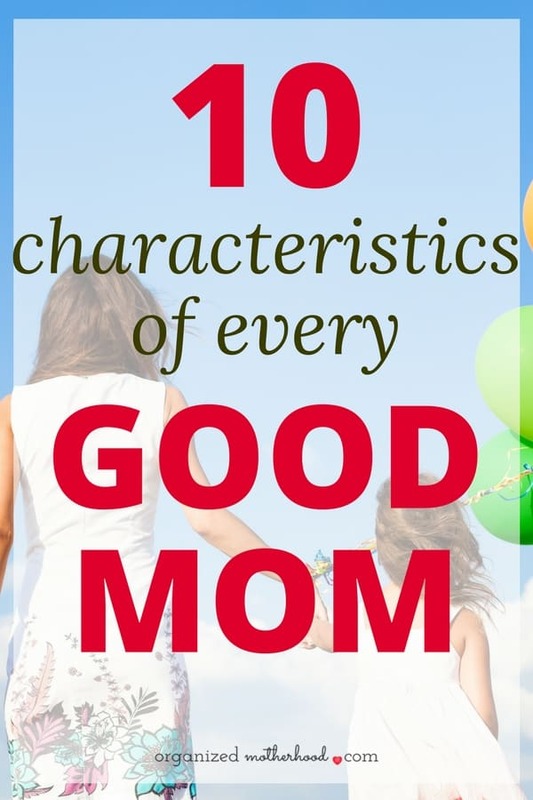 But what makes a good mom? And how do you get those qualities? Before you get totally overwhelmed, thinking that there’s no way you can do one more thing, note that these characteristics are learned behaviors. They’re things that, if you’re not already doing, you can easily add with a little practice. For each of these, I included a resource or tip to help you get there! 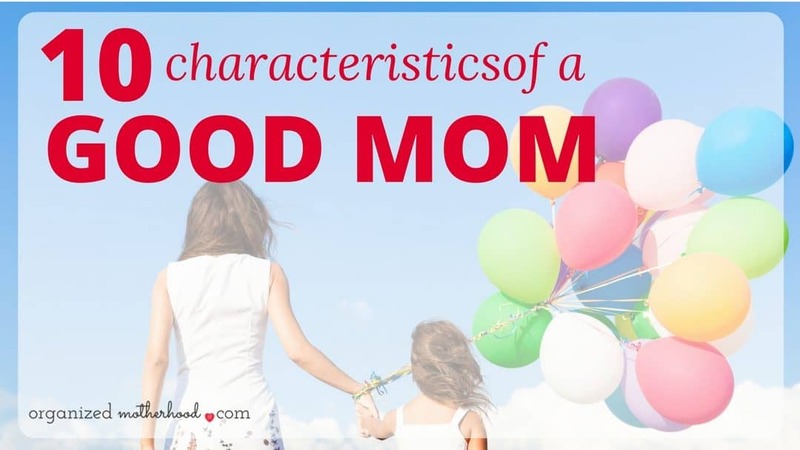 And, if you’re looking for inspiration (or pretty reminders to place on your desk), get the printable characteristics in the Organized Motherhood Shop. One of the first things new moms learn (aside from the importance of sleep) is patience. Newborns cry, toddlers get into everything, and older kids try to test your limits. It’s difficult for kids to learn patience, especially when adults struggle to model it. Even on the most difficult days, like when your toddler clearly isn’t patient, staying patient as a mom is important. Not only will it help you model “good behavior” for your child, but it’ll also help you respond to your children with a level head. Learning to have patience takes practice. Just like you try to teach a toddler patience (waiting to turn the pages in a book, taking turns with toys, not eating a snack five minutes before dinner, etc. ), moms need reminders, too. Self-care goes a long way in staying patient, but if you’ve been struggling with finding time for self-care, or even if you feel guilty making the time, stop! 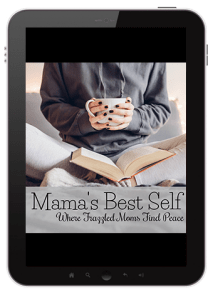 I loved the Mama’s Best Self course to learn how to prioritize myself so that I could be more patient (and calm) around my kids. Consistency is one of the easiest ways to make your child feel secure, yet it’s one of the most difficult things to do as a parent. We want to be the good parent. The fun parent. The understanding parent. But the consistent parent? That’s not fun! The lesson on being consistent was one of my favorite sections of Parenting Manual 101. I struggle with giving in when my kids want to stay outside for 10 more minutes. I also make excuses, like when they don’t eat all their dinner and want a cookie (oh, I gave them too much food). But I’m not doing them any favors when I give in. Instead of teaching them that I’m a reasonable parent, I’m teaching my kids that they should whine when they don’t get their way. When they go to school, do I really want them whining to their teacher because they would rather have recess instead of a math lesson? No! By being consistent, you’ll show your kids boundaries. They’ll learn what’s acceptable, and they’ll feel more confident in their own decision-making. Learning to be consistent, as with most parenting principles, is a difficult lesson. But once you learn how to be consistent, you’ll be amazed at the difference in your kids. Kids make mistakes. So do parents. Good moms forgive their kids. Really good moms forgive them while helping them learn a lesson. 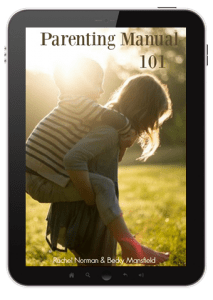 One of my favorite parenting books, Love and Logic, shares tips to teach your kids lessons naturally. Your child didn’t eat his lunch? Dinner will be delicious. It takes the pressure off parents to discipline because kids will learn consequences naturally (obviously, it’s still the parent’s job to keep kids safe, so letting your child run in the street probably isn’t recommended as a natural consequence). It’s ok to be upset when the kids break your favorite coffee mug, and Love and Logic helps you to see when it’s appropriate to show anger and when the kids need to learn from their own mistakes. But whether your kids do something to you or to someone else, forgiveness and lessons learned help them grow. If forgiving children is a characteristic of a good mom, then staying calm is also a requirement. Motherhood is an emotional experience, and sometimes it’s hard to control your temper, even if you’ve never had a “temper problem” before. When your patience is low, you’re tired, and stressed, it’s easy to lose your temper. I’ll be the first to admit that I lose my temper more than I care to admit. One thing that’s been helping me keep my temper in check is The Stop Yelling Handbook. Learning to reframe my frustration so that I can stay calm instead of screaming or taking it out on my kids has been life-changing. I’ll admit – I have days when this is more of a struggle than others, but I love the refreshingly honest way that this workbook helps you to control your temper. Organization isn’t just about keeping the toys and clutter minimized. 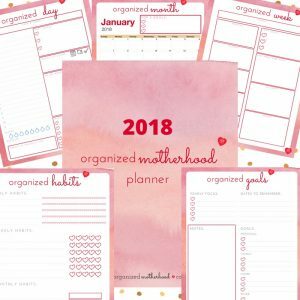 Staying organized can also mean time management, something many moms (including me) struggle with. If you struggle with organization, especially when it comes to handling your kids’ school papers, projects, activities, and everything else, start by writing everything down. 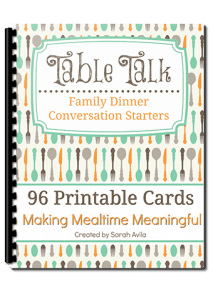 I write my meal plan, kids’ activities, and my husband’s travel schedule on the Organized Motherhood Planner each week. I also use my planner to keep myself focused and organized each day, right down to time blocking and writing down one thing I want to clean. Once you’ve gotten everything written down, try applying the “touch it once” principle to everything you can. When you bring in the mail or go through your kids’ papers, file, trash, or do something with them immediately. Your kitchen counters (and your kids’ teachers) will thank you. You love your kids, but in the daily hustle, remembering to show your love in little ways can be difficult. When you’re throwing last night’s leftovers in a thermos for your son’s lunch or frantically trying to find your daughter’s shoes in the morning, love is probably the last thing you’re projecting. Spending a couple extra seconds to hug your child as he runs out the door, make a “good day note” for his lunch box, or snuggle while reading an extra book at nap time is all it takes. Your kids need you to be a good friend. Not to them, but to their friends’ moms. Being a parent forced me to step outside my comfort zone. On one hand, it was nice to have other moms to commiserate with, but it was also a challenge. I had to talk to that mom on the sideline of my son’s baseball game instead of just snuggling into the couch with a good book, which is what I would’ve done pre-kids. 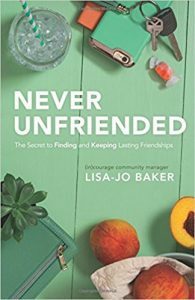 If you’re struggling to find or maintain friendships in motherhood, or even if you just want to be able to make conversation and relate to the moms in your kids’ classes, I loved the wise advice in Never Unfriended by Lisa-Jo Baker. Fierce mamas wear their Mama Bear shirts with pride! There’s a time and place to be fierce, but when it’s necessary, you need to know the best way to pull out the claws. One time when being fierce is important is during times of medical emergencies or when you need to protect your child. My kids have food allergies, so I’ve struggled to find a balance with being fierce. While I have to protect my kids from potentially life-threatening foods, I struggle with being too forceful and offending family members. However, after several situations when people didn’t heed my polite reminders, I’ve realized that it’s ok to be fierce in order to protect my children. On the other hand, there are times when you shouldn’t be fierce, like when you’re working with your child’s teacher to correct behavior issues. If it’s not a life-threatening issue, advice from trusted family members, friends, and teachers should be welcome. Most people have your child’s best interests at heart. Even if you disagree with their opinion, in most situations, it’s best to take a balanced approach! Siri is my best friend. For all my kids’ odd questions (how deep is the ocean? where do hippos live? ), I ask my phone. Chances are, you don’t know everything that your kids will ask. A knowledgeable mom doesn’t know everything, either (and if she did, I don’t think I’d want to be friends with her). But a knowledgeable mom knows where to find answers to her kids’ questions (yes, Siri counts). A knowledgeable mom also instills a hunger for learning in her kids. By having interesting conversations, asking questions, and listening to your kids, you can be a knowledgeable mom, even if you don’t know everything. In addition to Siri, I love these dinner conversation starter cards. I get tired of asking my son, “What did you do in school today,” and I’m pretty sure he’s tired of answering the same question. Just by going the extra step of talking to your kids and taking an interest in their activities, you’ll be able to show your love. Being a mom requires a bravery that you probably didn’t know you had. Just making it through birth takes bravery. But even after birth, you’ll need to be brave as you kiss your kids’ boo-boos. Brave as you send them off to preschool, then kindergarten, and then college. Brave as you raise them to be the people you always knew they would be. Parenting is a tough road, but it’s worth it to watch your kids grow into amazing people. Even if you feel like you’re struggling through this parenting journey, know that you’re not alone. You can do this, mama! 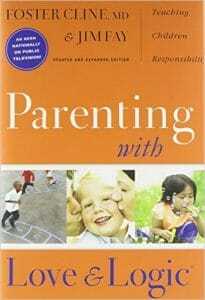 For the ultimate parenting resource, get the Parenting Super Bundle. 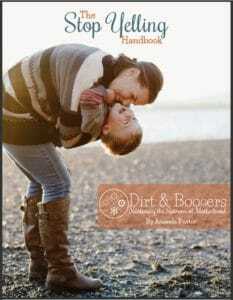 It’s everything you need to be the perfect mom your kids need.